One year ago, a hospital in Syria supported by Médecins Sans Frontières/Doctors Without Borders (MSF) was hit by an airstrike. The attack on Ma’arat Al Numan hospital, in Idlib province, claimed the lives of 25 people, including one MSF staff member, and wounded 11 others. Those injured in the attack were taken for treatment to another hospital, which was also targeted later that same day. Nearly 100 medical facilities managed or supported by MSF have been bombed since 2015, mostly in Syria, but also in Yemen, Afghanistan, Ukraine and Sudan. In the wake of such an attack, MSF considers it essential to establish the facts and ascertain who was responsible – not only to seek justice and reparation, but also to continue its work. For MSF to continue working, it needs at least some assurance that civilian facilities, including hospitals, will be protected. But how can the perpetrators of an attack be taken to task when they deny, contest or minimise their responsibility for their actions, explaining them away as simple errors? After the attack on Ma’arat Al Numan hospital, Dr Mego Terzian, president of MSF’s French section, publicly accused the Russian-Syrian coalition of responsibility. This conviction was based on an analysis of the context, the military forces present and testimonies from Syrian civilians (some known to MSF for some time) who were at the scene. 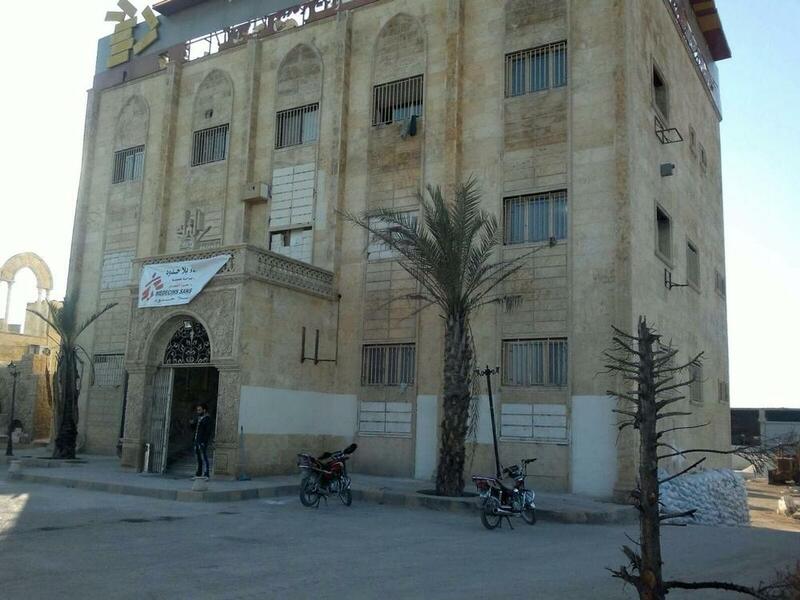 The MSF-supported hospital in Ma’arat Al Numan before it was attacked and destroyed on Monday 15th Feb. At least 25 people were killed, including nine staff members. It caused a variety of reactions from the governments of Russia and Syria, ranging from denials to accusations of spying, as well as much heated debate within MSF. When its hospitals, doctors and patients are bombed, there is little that MSF can do. Beyond filing a complaint with the court in the relevant country, MSF can ask the International Humanitarian Fact-Finding Commission (IHFFC) to launch an independent and impartial inquiry. After the attack on Monday 15 February 2016. As the only permanent body set up specifically to investigate violations of international humanitarian law, the IHFFC requires the consent of all those involved. Such consent is not easily obtained. 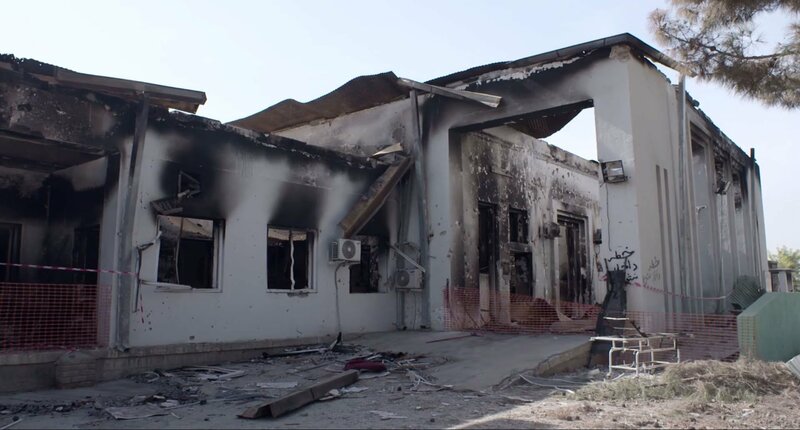 After the devastating airstrike by the US military on MSF’s hospital in Kunduz, Afghanistan; which claimed the lives of 42 people including 14 MSF staff members, 24 patients and four patient caretakers, MSF called upon the IHFFC to launch an inquiry. But the US refused its consent, so the investigation did not happen. In fact, the IHFFC has never once been activated since it came into existence in 1991. All too often, the only redress available to MSF is to publicly denounce perpetrators of bombings in the hope of shaming them into modifying their actions in future. When denouncing such an attack, video footage and amateur photographs to help reconstruct the “crime scene” can prove very useful. 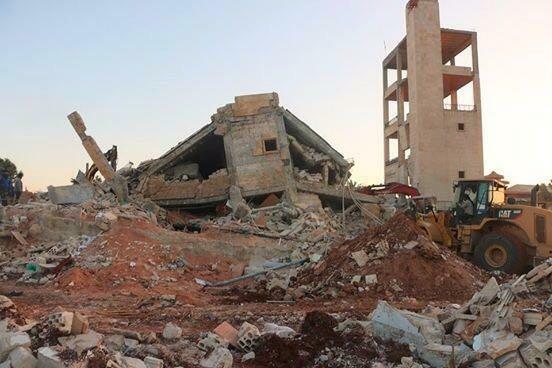 This is why MSF asked research agency Forensic Architecture to look into the airstrike on Ma’arat Al Numan hospital. Forensic Architecture uses cartography, image analysis and legal and architectural expertise to collect and analyse images of crimes committed by states to establish the facts and ascertain responsibility. The Forensic Architecture team has completed its investigation, based on video footage and photographs taken by medical staff, activists and ordinary citizens, which have been authenticated and analysed to reconstruct the bombing. 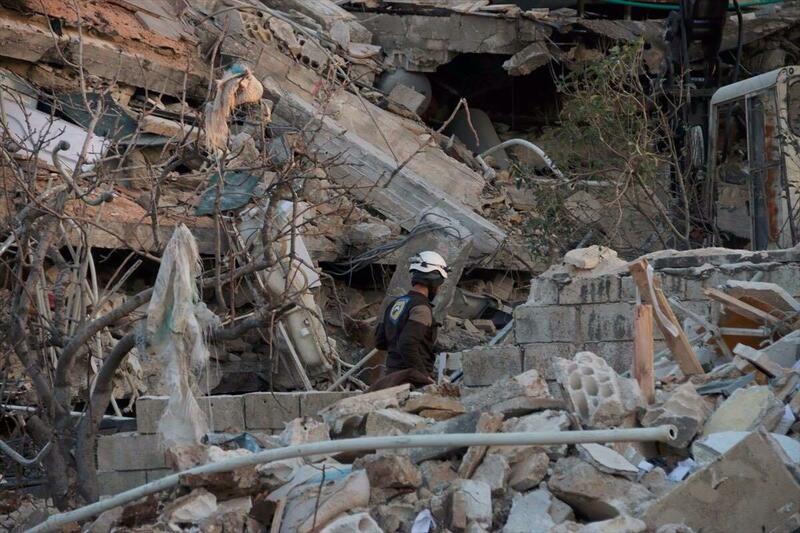 The investigation confirms MSF’s conviction that Syrian and Russian forces were responsible for the bombing of Ma’arat Al Numan hospital, even if it cannot provide irrefutable proof. Russian and Syrian planes seen taking off from their respective bases correspond to the time and location of the strikes. ‘double tap’ and ‘triple tap’ bombing, in which the same target is bombed repeatedly at close intervals. MSF has already completed its own assessment of the facts. A ballistic analysis and the collection of local testimonies ascertained that it was an air attack, using missiles rather than barrels of explosives .